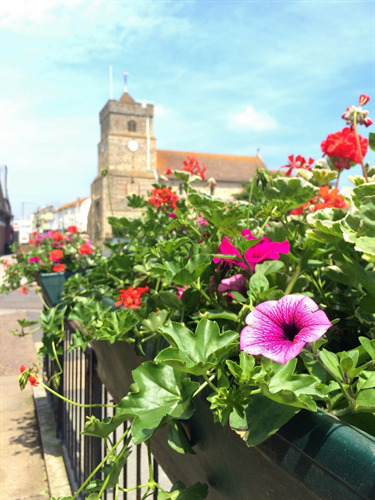 Each year Seaford in Bloom blossoms in the town, with beautiful floral displays in and around the town centre for the summer months. 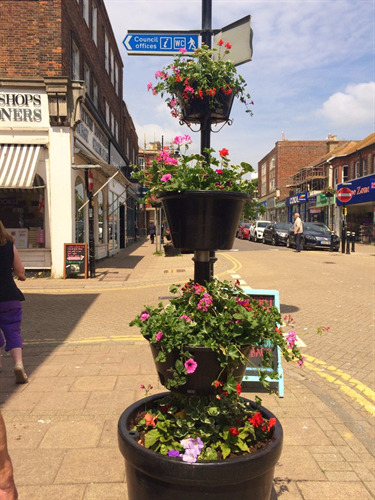 Originally stemming from the hard work of the Seaford in Bloom voluntary group in 1992, the scheme is now in its 25th year for 2017 and year on year attracts such compliments from those visiting the town centre. Special thanks go to Europlants Ltd for supplying and planting the stunning displays, ranging from the hanging baskets and fountain planters in Broad Street, to the arrangements in Church Street and the boat on Station Approach. The Council would like to thank Diana Crook for her generous donation of £100 towards the 2016 Seaford in Bloom scheme.